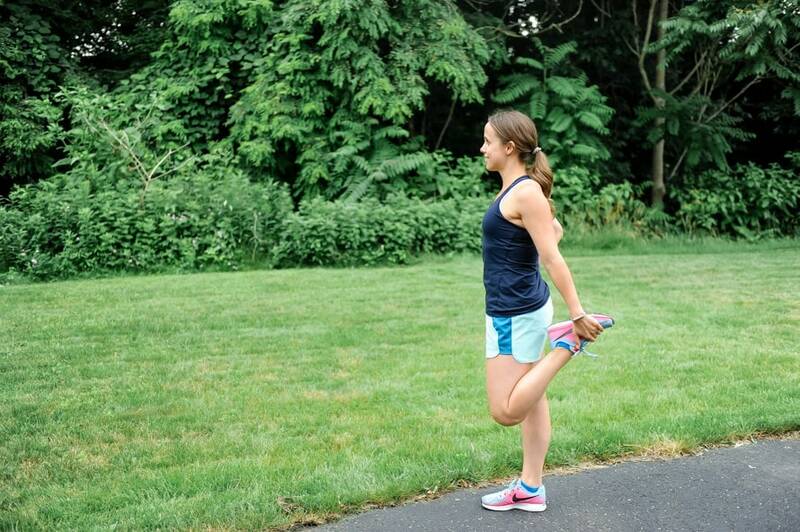 This running for beginners guide will show you how to train for your first half marathon! Busy moms – keep reading! Thinking about running your first half marathon? I was in your shoes just a few months ago! I had always thought about running a half marathon for a long time. It was definitely a bucket list item! But I’m not going to lie, I was afraid! I hated to run and honestly didn’t think I could do it. I knew I needed to find some inspiration to start and really have some good information for how to train for a half marathon. 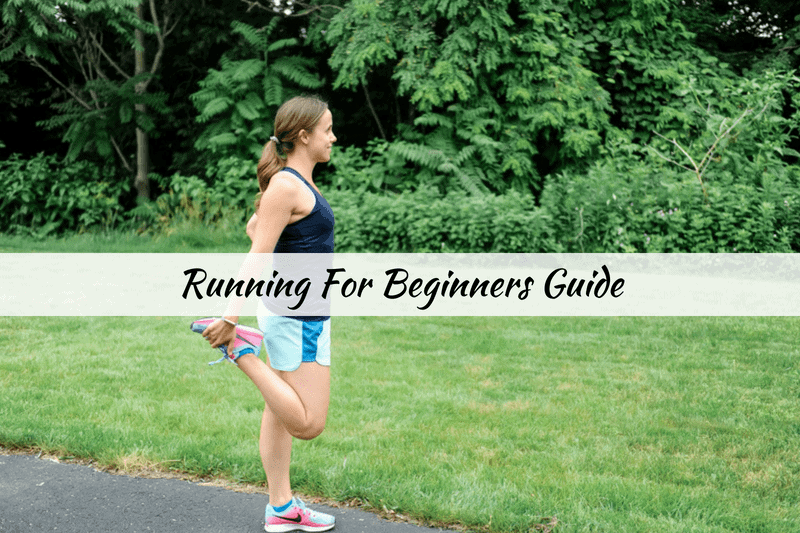 There are a lot of resources out there but this guide is designed to help anyone looking for help in running for beginners. Every half marathon training plan is different. I found one that was a half marathon 12 week training schedule that was doable for me. Getting motivated to run wasn’t super challenging for me at the beginning. When the runs are short and it’s new, it can be exciting! What is hard is to stay motivated when you are doing longer runs and in the midst of training. My biggest recommendation for staying motivated for running a half marathon is to do it for a bigger purpose. I decided to run for charity. Every time I wanted to give up or skip a run, I would remember why I was doing it! Another way to get motivated to run a half marathon is to pick a half marathon like the Disney marathon or the Disney princess half marathon. When you make it fun and go to a destination to run, you can think of the other fun things that will happen once you are done with the run! Check out the RunDisney website for details on all of the Disney races! 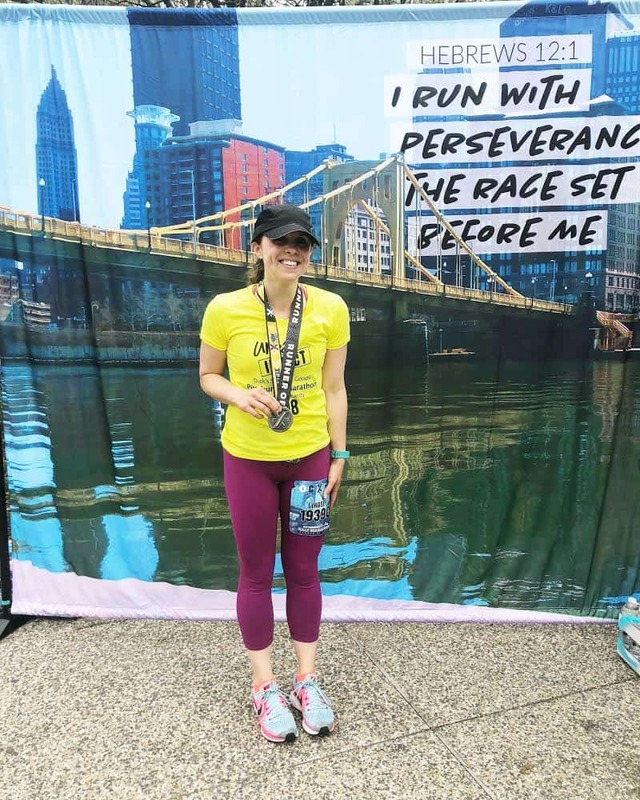 There was no way around running the Pittsburgh half marathon during one of the busiest times of the year. But honestly there will NEVER be a perfect time for you to run a half marathon so just pick a time and go with it. -Find a schedule and stick to it. I find that most of the time I waste when it comes to finding the time is the time I take to talk myself out of it. -Plan on self care time! I did yoga once a week to help with soreness and to de-stress! -Also – planning out your calendar the weekend before helps you to see where pockets of time are! You may be able to run at a time you didn’t think you could. 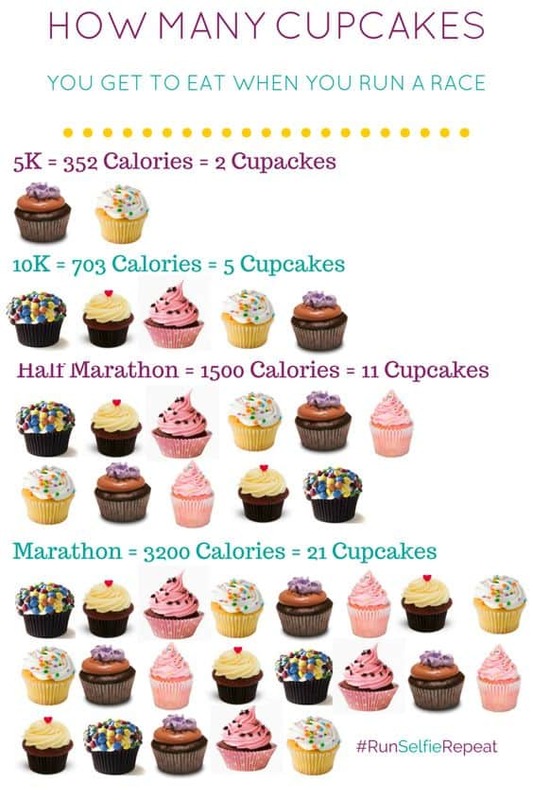 Well yes, eating only cupcakes would be amazing but that wouldn’t get you very far. Nutrition was one area that I struggled with during the half marathon training. I highly recommend tracking your calories and macros using an app like MyFitnessPal or MacroTrak. You want to make sure you are getting the proper nutrition. One of the biggest mistakes you can make during half marathon training is to eat too much. I was ravenous after many of my long runs. It’s easy to overeat when you think you are burning a ton of calories. You definitely will have a higher calorie burn but tracking this data via a FitBit or Apple Watch will help you to make sure you are staying balanced. The half marathon training diet I would recommend is a balanced clean eating diet. You definitely want to feel your best when you are running that far. On the morning of the race, I ate a piece of toast with peanut butter before I left home. I ate a banana about 30 minutes before the race. I had my bloks but by the end of the race I was famished. They gave out bananas around mile 12 and I should have taken one! If someone gives you food during the race, take it! 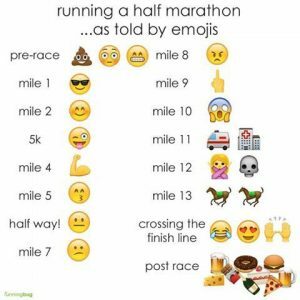 Download Your Half Marathon Checklist for Race Day! I tried to do most of my runs before my kids got up. For my long runs, I would wake up early on Saturdays while my hubby and girls were still sleeping. But there were times when I had to run with my youngest! I love this jogging stroller and you really can’t beat the price. I used Clif Shot Bloks for energy throughout the race and for any long run. I experimented with how many to take and when to see what would give me the most energy. During the half marathon I tried to hydrate every 2 miles at the hydrations stations. I’d use the Bloks approximately every 4 miles. Foam rolling after long runs is extremely helpful for sore muscles! If you have REALLY sore muscles, lacrosse balls are awesome for deep tissue release. After every long run I made sure to take an Epsom salt bath. That helped even more with soreness. 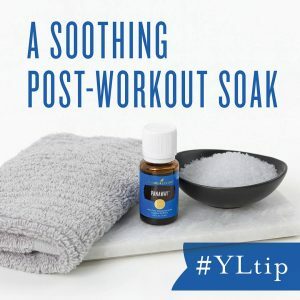 My favorite essential oil for post-workout soreness is Panaway! I used this on my knees every night after a long run. When you are going on long runs you are going to want somewhere to store your keys, phone, license, gels or bloks, etc. The day of the half marathon there was rain predicted. I wanted to have a hat that kept the rain out of my face and this breathable hat was perfect because it kept the rain out of my eyes but didn’t keep my head hot. This is by far my favorite sports bra of all time. I will not run in any other sports bra, it’s that good. These pants were my favorite pants to train in. I actually ran the half marathon in them. I did get a little hot (it was around 50 degrees when I ran) so next time I will wear shorts if it will be that temperature! These are my favorite running shorts! They are super light weight and breathable. Shoes are everything. I had issues with blisters anytime I ran more than 3 miles. I highly suggest going to a running store and having them analyze your gait. They can recommend the best type of shoes for you! I did not do this and it took me weeks to have my feet fully recover from my blisters from running the half marathon. This could not be more true! The first half of my race was awesome. About mid-way it got REALLY hard. I expected this based on what I’d heard from my hubby and friends who had run before. A motivational playlist and prayer was the only way I got through the race. There were definitely times where I doubted that I could keep going. 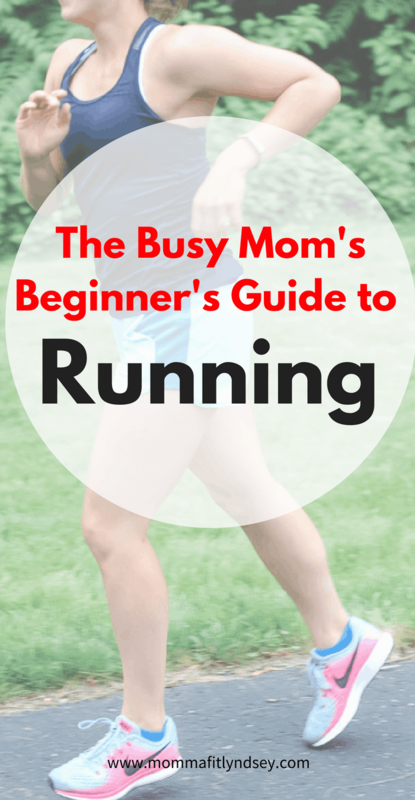 Running for beginners – If I could do it, so can you! There are only a few times in life where you feel this level of accomplishment. I was someone who said I couldn’t run, I just couldn’t. I didn’t have the belief in myself until I ran for a cause bigger than myself. Running for a cause helped me to push beyond my doubts! I mean it when I say, if I can do it, so can you! As many running friends told me, running is just putting one foot in front of the other. Don’t get discouraged if you start and it’s hard. If you are starting from the beginning, maybe consider a couch to 5k or a couch to 10k! I do think that having a baseline of fitness helped me to be able to stick to it. If running seems like to much to get started, maybe consider starting with 30 minute workouts at home to build up endurance and strength! Alright friends, tell me! Have you ever run a half marathon? 5k or 10k? Are you afraid to start like I was? Tell me about it in the comments! Join 20,312 other followers and subscribers in getting more healthy family lifestyle tips & recipes right to your inbox! Download your FREE half marathon race day checklist here! 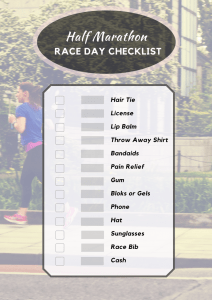 Get your FREE Half Marathon Race Day Checklist! Download your FREE Half Marathon Race Day Checklist and get healthy lifestyle tips & recipes sent straight to your inbox!